Happy Monday everyone! I was going to review Morning Musume’s triple A-Side that’s coming out this week, but then suddenly a new PV came out that I had to review. The Morning Musume review might be coming in a future week, though. Takoyaki Rainbow is the next in the line of Stardust Promotions groups, after Momoiro Clover Z, Shiritsu Ebisu Chuugaku. and (my favorite) Team Syachihoko. When this group was first announced I really wanted to love it; takoyaki is actually one of my favorite foods ever, so I thought this was a cute name! However, I wasn’t super fond of their first single ‘ Over the Takoyaki Rainbow.’ When I heard that my favorite idol composer, Maeyamada Kenichi, was going to be writing their second single, I knew that I had to give this group another shot. The closest song I can compare it to is GOUNN, and even that’s a bit of a stretch (it’s mostly based off the arrangement). It’s more like if Hyadain wrote GOUNN for 2010 era MomoClo. This isn’t a bad thing, but it’s just the closest thing I can think of, comparison wise. This song has a lot going on, though, and it does sound kind of busy. The song takes a bit too long to get to the first chorus, for example, and really lingers on the shouted “N A N I W A” sections. After it catches in your brain it doesn’t really sound like it’s dragging, but the first few listens it felt like it was. By far the weakest part of the single are the vocals; if you’re looking for strong vocalists, you aren’t going to look towards Takoyaki Rainbow (or any Stardust group, really). However, the vocals do work for this type of song. The girls deliver on energy and charisma, and that’s what this song needs more than anything. PV: I think I mentioned this in my top 15 PV list, but I’ll reiterate: green screen isn’t bad. Visual effects can add a lot to a PV. What is bad is lazy visual effects, or using it to cut corners. If you have a unique and interesting visual style, like in Naniwa no Haniwa, having a fully green screen PV isn’t a bad thing. As you can see above, the PV has a really strange style; it’s kind of surreal at times (and very surreal at others) and odd all the time. The thing I find most interesting is that the color palette tends to be slightly muted; this isn’t the bright colors of Ai no Chikyuusai. Yet this muted color scheme works well and seems oddly bright when put together. I can’t really put my finger on it. The PV’s biggest asset are the girls involved; all of them have really stepped up their game and have a lot of talent appearing cute and personable in front of the camera. They’re all very cute and veyr fun to watch. This PV did a fantastic job of showing off the girls. The editing is very well done; it’s generally done rapidly (especially when they’re spelling out “H A N I W A”, cutting on every letter), but it never feels rushed or out of place. I really enjoyed this PV, and it’s caused me to want to keep an eye on this group in the future! off point to talk about. 1. The announcement, or rather the hype around it. 2. The CM itself, and how this will affect Morning Musume. From the beginning, when Tsunku announced that there was going to be a big announement, I noticed a split of two camps within the people who actually cared about this: there were the people who were excited and possibly nervous about such an announcement, and there were the people who were convinced this was nothing at the getgo. I think both sides are fair, but I was on the side of being probably convinced it was nothing. While Tsunku said that it was a risky move, very few moves Up-Front ever really does are risky. I didn’t expect there would be a huge announcement of something risky when that’s just not how Morning Musume operates. Still, despite being pretty certain it had to be nothing, I still dutifully sat down and watched the livestream at the conference. Why was that? Because despite nothing ending up happening, there was a lot of hype and discussion. It was hype for hype’s sake, essentially. It was Tsunku getting people to talk about Morning Musume even though all the theories and ideas about what it could be were most likely false. If you’re promoting something, you want people to be talking about it. Even if it’s just the fans getting worked up, it’s still keeping interest on the group (as opposed to another group). I think people are underestimating the power of a national CM. Yes, it’s fairly underwhelming. However, more press for Morning Musume is a good thing, and this could do a lot to show the new lineup of Morning Musume to the current public who doesn’t know MM. Personally, I don’t listen to any American radio; the music I like generally doesn’t get much airtime, and I prefer being able to listen to my ipod. I watch talk shows only if a guest I like is on (and then I generally only watch for the celebrity I like). The only way I’m aware of top 40 American music is pretty much through word of mouth and commercials. That’s the kind of audience that MM could reach through a CM. I’m not saying it’s going to generate a lot of new fans, but it could, in a way, raise some awareness for the group from people who have similar habits to me or who just ignore that group entirely. Plus, the CM is actually pretty humorous; I love that it implies that Tsunku makes bad decisions about Morning Musume while drinking. This could also get people talking. It’s not going to be a huge turning point, but this kind of shows that Morning Musume is getting back to being fairly big national idols again. This kind of campaign won’t change everything, but it’s more emblematic of the place that Morning Musume has gotten to. And that’s exciting. Agree? Disagree? Let me know and you will be featured in my “Your Thoughts” post next week! The comment I got this week comes from Brian, who you should know as one of the great contributors at Idolminded! Now before I get to his comment, know that I’ve gotten a lot of great recs for music via twitter, but I’m always open to new recommendations, hip hop or otherwise. I’ve never been good at describing music or anything like that. This list is kind of all over, I wanted to give you suggestions similar to Rhymeberry but I don’t really know too much about Rhymeberry myself. From a quick Youtube search, if you like them, Halcali should be something you enjoy, if you don’t already. All of these songs have great beats (which is usually what gets my attention first). And there’s songs like Nas’ and Epik High’s that have great wordplay in the lyrics. “The World Is Yours” is one my favorite songs of any genre. I know a lot of people like idol music cause it’s positive and “The World Is Yours” fits that easily – both in the lyrics and the sound. I hate to add more suggestions but the whole Illmatic is special and something I’d really recommend. As for me, idol music hasn’t really changed anything, just part of the journey. There’s great music all over, in all different genres and in every country, and it’s great we are in a time that it’s so easy to find it all. Also, I think it’s great you are looking for all kinds of music, I really appreciated that you showed some interest in the cpop posts I started making on IM. I know it’s a lot (and some of it I haven’t even listened to myself yet) but if you ever want to talk more about anything, let me know! First off, thank you so much for the recommendations! I’ve been checking out Halcali and liking them. I also checked out Rip Slyme and I’m still working through the rest of them. I really appreciate all the thought that you and the other people who have been recommending me things have put into it. I haven’t listened to nearly everything yet because there’s a lot, but I do appreciate it a ton. And it’s very true that there’s great music all over. I find it interesting hearing about the musical histories of fellow idol fans, because there are a lot of people who have very varied tastes. It’s an interesting thing to hear about. And I have to admit I’m SO new to CPop, but I want to try and listen to more in the CPop world as well as Kpop. While JPop has become my comfort zone over the course of the past 6-7 years, I feel like I’m missing out on some great music in both China and Korea that I need to at least dabble in. I was trying to come up with my list of my top 10 favorite PVs of 2013, when I was just stuck with how many PVs I liked. So I expanded my list to 15 this year. There are plenty of great PVs left off this list, but these are just the ones that have stuck with me. My friend sent me this PV via twitter and I love it. The artist isn’t an idol so I don’t think I can really include it on this list, but if I did it would be near the top. There is just SO MUCH personality in here. 2012 started off with arguably the worst PV of the year, Help Me. Morning Musume’s PV output has been not that good in the past couple of years, frankly. So when I saw Brainstorming, I immediately was pleasantly surprised; after starting the year off with an unfortunate PV, that they did some pretty good stuff. Brainstorming and Wagamama aren’t the best of the year, but they do get the prestigious “I’m impressed you actually tried” award. C-ute get the prestigious “You did pretty good but sadly this is good by Hello!Project standards which means that you’re just an honorable mention” award. I loved how Babymetal incorporated metal and traditional Japanese music into one with the song Megitsune, and the PV does a fantastic job of reinforcing this. The setting of the PV looks traditionally Japanese, but then there’s the costumes the girls wear and the headbanging people playing shamisen. The PV’s a well-made fusion of elements that reinforces the song perfectly, which is what I look for in a PV. As I mentioned in my top songs of 2013, I didn’t expect to flat out adore an E-Girls song the way I did Gomen Nasai no Kissing You. The same goes for the PV. Which is essentially color saturation city. I feel like they cranked up that color saturation dial during post-production and kind of just left it. This isn’t a terrible thing, not at all! It’s a really fun PV which is suported by just how colorful it is. The big highlight of the PV is just how many background dancers there are. There are about 30 members of E-Girls, but the PV is just filled to the brim with students from EXPG (the dance school by the group EXILE, of which E-Girls are the sister group). I’m a sucker for PVs with huge numbers of extras, but seeing them all dance just adds a great energy. The whole thing is choreographed well and fits the fun, high energy Gomen Nasai no Kissing You perfectly. The only reason that I have this so low is unfortunately due to the dance break. I think it’s a fine idea, but it lasts so long and the solo dances are often kind of underwhelming. It just breaks up the energy that the PV already has, and just generally detracts. But other than that I really enjoy Gomen Nasai no Kissing You, and it has definitely made me reevaluate E-Girls. Seriously, what is up with The Possible in 2013? They had a really great comeback with one of my favorite songs of the year (Zenryoku Banzai! My Glory) and now they had a PV that really stood out with Otome! Be Ambitious. I just think it’s nice when PV producers decide to do something different and fresh, and that’s what they did with Otome! Be Ambitious. It makes the PV stand out a lot. It’s also shot well and the outside dance shot looks nice in comparison to the skydiving scenes. So props to The Possible for trying something new and for creating a memorable PV with it. Mayu isn’t that high up my favorites list in AKB. I like her just fine, but she’s not an idol I particularly follow much. However, it seems like every year she puts out great solo stuff. Hikaru Monotachi was one of my favorite PVs of 2012 and now Rappa Renshuuchuu is one of my favorites of 2013. This PV just has a really unique aesthetic; the newspaper pattern on a lot of the backgrounds caught my eye. This PV is increadibly stylized in terms of its design, in a way that I can’t say I’ve ever seen in a PV. It’s like a collage, like all the backgrounds were pasted on using paper. And that’s really cool to me. I think a lot of people complain about heavy uses of greenscreen in PV production, especially with Hello!Project PVs. However, in my opinion, the issue isn’t the use of greenscreen but with creativity and laziness. Rappa Renshuuchuu is a PV that uses a lot of greenscreen. However, it’s used effectively, and has a great visual aesthetic, which is why it’s one of my favorites of the year. I explained why I really enjoy this PV in my recent review post. However, this PV is just really nice. The dance shot in front of Osaka castle is beautiful, and probably one of the best dance shots of the year. The cinematography as the girls walk around Osaka is great, and makes me want to visit Osaka in a way I didn’t before I saw the PV. This is just a well-crafted ode to NMB48’s hometown, and one I definitely appreciated. One PV made a girl shoot up my idol list. Haste to Waste was that PV, and Kawaei Rina was the idol. This is the ode to Kawaei and the other girls who scored lowest on the Mechaike Bakajo test. Haste to Waste is perhaps not the most interesting PV (though the dance shot background of the poorly graded tests looks pretty good), visually. However, what it does really well is making all of the girls in it do interesting, fun things, endearing you to them. 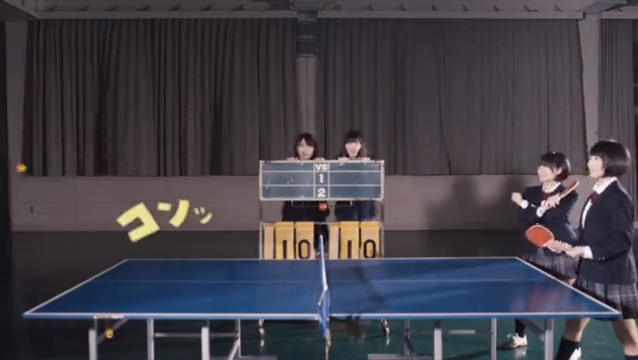 Seeing Kawaei Rina jump for joy at a test (which she was actually a bad score) was cute. The PV does a great job showing off each member and giving them a part to do . Mostly, though, this is just a fun PV that is made well. It’s nothing revolutionary, but it is something good. This is another PV that shows the potential of good greenscreen and visual effects. GOUNN is a well-made artistic look at Buddhism. While I’m still not entirely sure how respectful it is to the religion, it doesn’t change the fact that GOUNN is lush and beautifully done. I especially like the visuals for each member’s individual shots; they’re beautiful, but strangely grotesque (Reni sitting on hair, Ayaka on a tongue, Kanako surrounded by blood). I expanded on more of this in my GOUNN review. In short, this is a visually stunning PV and one of MomoClo’s best, definitely making it one of the best of the year. I have never done drugs of any sort. I am as straightlaced as they come. This is what I imagine being on something would be like. This is another PV that I’ve covered elsewhere. But this is weirdness personified and I just love it. It’s taking on various television shows and making it Team Syachihoko’s version of reality before adding on weirdness and weirdness upon more weirdness. I know this isn’t everyone’s cup of tea. I can see this being an incredibly divisive PV (and single.) But if you’re someone who likes PVs strange (like I do) and if you like the hectic/rushed pace of the best Stardust PVs, you can’t go wrong with Ai no Chikyuusai. This is another PV I reviewed elsewhere, so my thoughts are expanded in this. But as a fan of cheesy things and having a fondness for poorly made, low-budget movies (I may have seen Birdemic: Shock and Terror three times), Mikakunin Chuugakusei X hits all of my buttons. This is silly, goofy fun at its best, with cardboard, hand drawn props. The extras almost outshine Ebichu’s members, as they ham it up and have a good time with the goofy premise. This is super fun, and kind of reinforces why I adore Stardust groups. As I mentioned in my top songs of the year, KFC will always have a special place in my heart. It was one of my favorite songs of the year, and it still blows my mind how much the fan version just blew up. In general, though, all the various versions always put a smile on my face and, occasionally, make me cry. It’s incredible what Koisuru Fortune Cookie did in 2013, and I think it’ll be remembered as a major song of this wave of idol music. The PV captures a lot of the energy and fun of those various versions of the dance by sharing the stage with AKB fans. I know some people dislike how it didn’t focus as much on the girls, but KFC in a way became an ode to the power of idols and fun music on regular people. I love that there are average fans dancing in the PV along with AKB48, and my favorite parts are the ones that feature the fans. It, in a way, represents the symbiotic relationship that idols and fans have. Idols need their fans as much as fans need idols, and KFC became a way to thank the fans on a larger scale. The rest of the PV is, of course, well done. I love the outside dance scenes with tons of extras, and all the girls are in top form. However what makes Koisuru Fortune Cookie stand out isn’t the group itself, but the fans. This is one of the best uses of a narrative in a PV of the year. One of the things I don’t like about some of the really long-form PVs (the half hour Suzukake Nanchara PV, for example) is that they feel lazy in their execution. Girl’s Rule is about 7 minutes long (so already pretty long), but uses all that time very well to tell various intersecting stories. The PV reinforces the idea that a silent film is universal; the stories are easy to understand through their silence, but still pack a punch. Matsumura Sayuri in particular really sold her storyline, and I loved the shots taken through the camera. 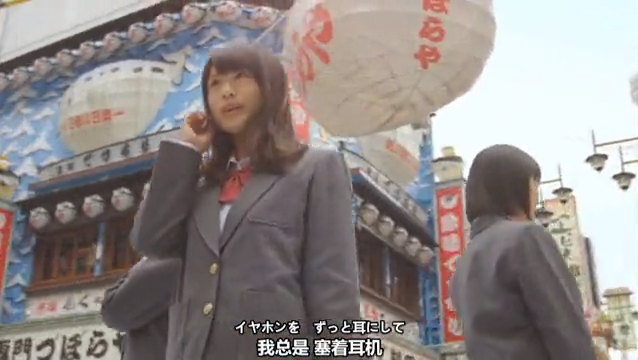 This PV made me want to have a Nogizaka46 drama with these characters. The stories all felt real and not over exaggerated. It was also filmed really nicely; nothing strange, or exciting, but like it would be a fun drama show to watch. In a world where way too long drama versions of PVs are starting to become more and more normal, Nogizaka46 tell good stories in just around 7 minutes. The song fits in nicely, and doesn’t detract from the story. This is what story-based PVs should be. Fun fact: This PV makes me cry most times I watch it. I know I’m a fairly sensitive person when it comes to crying at things, but this one just gets to me. This is a PV that was done in one shot, and it doesn’t hide it. Often you see people running around in the background to get to their next pose or position. 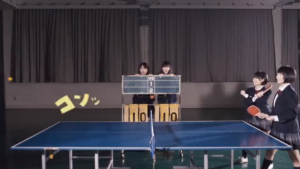 The PV also has to cleverly use props and placements instead of effects or different settings. Not all PVs that do this are successful at it. But all the props and costumes have a real charm to them, in addition to the charming simplicity of the PV. Setting this PV up and actually shooting it probably took a lot of work and finagling to get everything just right, but watching it makes it feel seamless and easy. This PV also effectively uses extras to show small vignettes. It might be saccharine to some, but I love how it involves people of all ages to help tell the story. It’s just sweet. Everything about this PV is just nice, pleasant, and done very well with the single shot they had. When I first heard the song Shuto Iten Keikaku it honestly took me a couple of listens to get into. However, Shuto Iten Keikaku’s PV was immediately something I knew I liked. The strength in Shuto Iten Keikaku’s PV is in the transitions. It’s not made in one take, but the transitions are made to look as seamless as possible, using tv screens. Every cut is virtually invisible as the PV moves from scene to scene. If my PV awards went more indepth than “these are my favorite PVs,” Shuto Iten Keikaku would have the best editing category locked down for sure. Aside from that, it’s a lot of fun seeing how they do all the transitions. Haruna’s rap sequence, for example, when there’s about three Harunas rapping at once looks great. It’s fun seeing the girls interact with the screens, popping in and out of shot. It’s not quite as strange as Ai no Chikyuusai (Syachi’s latest single), but it’s done very well. This isn’t the most out there PV and the set isn’t the most intricate, but it’s one of the most creative PVs and certainly the best edited PV I can think of. I am honestly stunned that no one seems to be putting this on their top PV lists. Am I the only person who thinks that this is a wonderful PV? Filmed in Thailand, this is like SKE’s travelogue of their adventures there, much like Ponytail to Shushu was and Kimi to Deatte was. This just has so much more energy and fun, and really shows the fun these girls had. Possibly my favorite element of this PV are the dance shot scenes. Filmed outside and surrounded like people, they feel a lot less sterile than some of the dance shots can feel even in similarly made PVs. The dance shots fit perfectly with the rest of the PV in that they’re shot loosely and surrounded by a crowd. In one of them the girls get sprayed with water from an elephant but they just keep on dancing. While Shuto Iten Keikaku had the best editing of the year, Sansei Kawaii is a close second. Especially at the call and response section, the editing conveys tons of energy that would have been lost under worse editing. 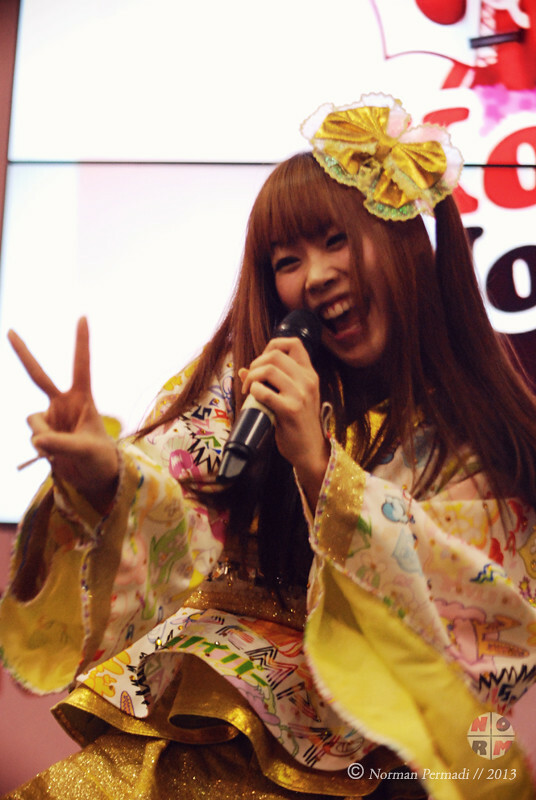 Sansei Kawaii shows the girls having fun in Thailand, but in doing so shows a lot of personality and charm. Add on some great editing and well shot dance shots, and this became an unlikely favorite of mine. This PV, man. I’ve rearranged this list, added and taken off tons of PVs, but W.W.D II has been at the top since I started working on this. This PV manages to be well-made, heartbreaking, hilarious, and everything in between. The story is that everyone has moved on from Dempagumi.inc, everyone except Pinky (who is in Dempagumi.inc Z 49., a take at Momoiro Clover Z, AKB48 and Morning Musume.). Their new lives are both saddening (Moga, who returns to her real-life history as a hikkikomori) and hilarious (Eitaso becomes a shaman). But when Pinky gets kidnapped by real-life idol group BiS (who make a great cameo), all the members reunite to save their friend. Everything is made well here. It looks great, is shot well, etc. But the real thing that makes W.W.D II stand out so much is the heart. I care that Moga won’t leave her home anymore. I care that Pinky wants everyone to stay together. The moment where all the fans of Dempa and people from their disparate lives come together with glowsticks and shout “yossha ikuzo” makes me cry just thinking about it. Even with some silliness in the storyline and everything fictionalized, this feels just about as personal as W.W.D (which SHOULD be on this list as well for its PV). The song is one of my favorites of the year, and W.W.D II not only reinforces how great of a song it is, but adds new dimensions and is a great PV in its own right. I occasionally mention my other musical tastes on Happy Disco, but I’ll reiterate the basic gist. Before I got into idol music my biggest musical interest was in indie/alternative rock. I really liked some good power pop stuff. I still like these artists; I go to concerts and buy their albums. I’m going to go see Broken Bells and Arctic Monkeys on tour this spring (this is going to be the third time I’m seeing Arctic Monkeys, and they’re always fantastic). My favorite band is The New pornographers. However, this was my primary music taste before idols. I had some other things in there; some harder rock, some classical, but it was mostly this. However, despite all my music interests in this regard, idol music has really stuck, and has influenced my music tastes in a very major way. Before I became a fan of idol music, pop music wasn’t really my thing. I liked it growing up, but once I got into my teen years I pretty much abandoned pop music. However, obviously, I’ve gotten into it with idol music. I don’t listen to much top 40 radio still, but I’ve become a bit of a Katy Perry fan. Recently, I’ve gotten a new interest in hip hop music. This isn’t something I ever thought I would like, but I’ve been giving it a shot and I’ve been pleasantly surprised. A lot of this is because of how much I really like Rhymeberry, and how often I’ve listened to stuff like SUPERMCZTOKYO. That and the Dempagumi.inc cover of Sabotage has made someone who always swore that she didn’t get hip hop actually pick it up. So idol music has really pushed me as a music listener, and I know I’m better for it. I can’t help but think that this has to be true with other fans, at least to an extent. I mean, think of all the disco sound that you hear in Koisuru Fortune Cookie. Or the saxophone in Watashi ga Iu Mae ni Dakishimenakya Ne. Or the big band sound in Mr. Moonlight ~Ai no Big Band~. Or Iwasa Misaki doing enka and Matsui Sakiko doing instrumental piano. There is such a wide diversity of sound in idol music that I have to think that it’s expanded other people’s interests as well. I think this is one of the things that has kept me an idol fan for years, and why I think I’m an idol fan in it for the long haul. There is a big musical diversity in idol music. Even artists can wildly change from release to release. It’s never boring, and it’s often edifying. 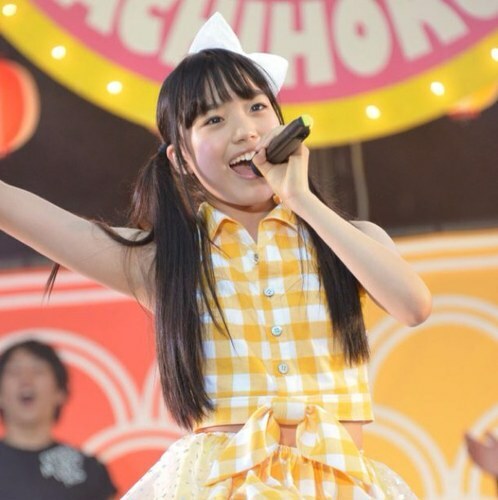 It’s easy to play down idol music because the idols themselves don’t write it and they aren’t always the best singers, but I think that Japanese idol music is an extremely interesting genre, and certainly the one I want to pay attention to. So while it’s easy to be dismissive of idol music, I think that’s not being entirely fair. This is a diverse, great genre that is well worthy of our attention as music fans. What do you think? Has idol music changed your music interest at all? Let me know in the comments! Back to our regular schedule this week! There’s still one more end of 2013 list coming up (PVs) but that’s going to be in one of the next couple of List Fridays. 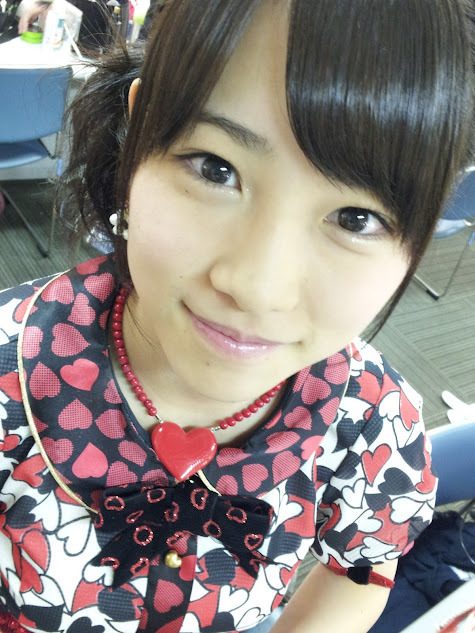 Today I’m going to review the last two 48 group tracks from AKB48’s Suzukake Nanchara single. Because I don’t want to leave that undone. Song: Something about this reminds me of an anime opening. I don’t know if it’s a specific opening or just a generic anime opening feel, but the melody plus the string-heavy arrangement gives me some serious anime opening/ending vibes. This isn’t a bad thing; I mean, that’s part of how I got interested in Japanese music, was through liking the opening/ending themes back when anime was still a thing I followed. As such, the melody does feel like a mix of generic and unique; the song as written is something I know I’ve heard before, but not necessarily with a lot of idols, and at least not with a lot of idols recently. It’s not bad, but it’s not the most memorable thing ever. I enjoy it, though, and it makes me feel oddly nostalgic. The arrangement fits well into this, with very strings-heavy instrumentation with some piano thrown in there. It’s very pleasant, and feels like it fits the song nicely, but it’s hard not to compare it to something like Bokura no Eureka, NMB’s other major string-heavy song of the year. Perhaps this is unfair; these are two entirely different songs. This is just where my mind went, though. The arrangement fits the song well, though. A gag at the end; now that’s something that feels like NMB. 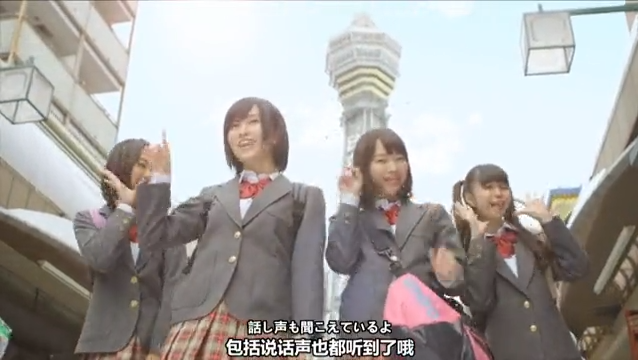 This PV is essentially NMB48’s travel brochure to go visit Osaka. Which I actually really like. The other 48 PVs have been fine so far, but don’t necessarily feel like they are inherently meant for their group. SKE is generally a cooler group with emphasis on dancing and choreography, and they got that, but it’s still not the same. NMB48 has always had a pretty solid focus on being an group from Osaka, and this feels like their love letter to the city. The conceit of the PV is that the group is on a school trip to Osaka and are visiting locations. It’s not really necessary; all the shots in Osaka should be enough. But it’s a nice touch to show why they’re running around Osaka. As usual the PV is shot very well, but pretty much all 48 PVs have a high production standard. I like these low angle shots throughout the PVs. It allows for some interesting looking shots that show off some of the Osaka scenery, but it also adds a fairly unique visual style to the PV. A lot of the PV is just walking around in Osaka, but it made me want to go visit the place, so I think they achieved what they were looking for. The dance shot is absolutely lovely, filmed in the evening in front of Osaka Castle. I know that filming an outdoor shot at night is risky, but this absolutely paid off. This is one of the best looking dance shot locations I’ve seen. It’s hard not to compare this to Hatsukoi Butterfly, HKT’s song from last year. After all, that was HKT48’s first original song, and really set the pace for HKT48. Wink wa Sankai is unfortunately not as memorable as Hatsukoi Butterfuly. I do like the guitar-heavy arrangement and rock-focused song; Melon Juice was a fantastic single, and I’m glad that they’ve continued with this motif at least for a while. The biggest problem is with the melody and the song itself. It just isn’t very memorable or interesting. The chorus part of “Wink wa Sankai” is fairly easy to remember, but I can’t bring myself to keep the rest of the song’s melody in my head. It would be one thing if the song was in any way interesting, but it’s not. That said, I do like the chorus a fair amount. I’m a sucker for the response “yeah yeah yeah yeah” parts. And really, this isn’t bad, it’s just not as good as I wish it was. I love some of the electric guitar solos in here and the chorus is good. It’s just, when it comes down to it, the song as a whole isn’t as interesting or good as it should be from these parts. Which is a shame, to be honest. Melon Juice is one of the best 48 single songs of the year (after Koisuru Fortune Cookie and Bokura no Eureka), so if there was a little more of that I think this would have been better. Last year Hatsukoi Butterfly decided to surprise everyone and put kenkyuusei Tashima Meru up center. This year’s new center is Yabuki Nako. Nako, where have you been all my life. She is cute, charismatic, and I really enjoyed her as center. Meru’s fine, and I don’t dislike her, but Yabuki Nako has oodles of potential within HKT and I’m excited to see where she goes. The conceit of this PV is that HKT48 discovers that their winks can cause the boys (and Sasshi?) at school to fall over and/or have heart attacks. Well. That’s something. The comic book style graphics on the screen add a lot of character and personality to this PV; it’s kind of a necessary addition, mind you, otherwise the whole point of the PV would be kind of confusing, but it still looks nice and adds a lot of color. One thing I love is how far they take the silliness of this PV. The girls don’t just use it on boys they like; they use it in interesting ways and for their own personal gain. Sasshi becomes a wink sniper, hitting guys from a distance. They use it to win at table tennis and kendo. They aren’t being cutesy about it; they are using their cuteness as a straight up weapon. The dance shot is very Heavy Rotation-esque in how colorful it is. It’s not as fun as the rest of the PV, but that’s a tricky thing.